Sing along with us to the diverse upbeat rhythms that keep us moving during our Monkey classes. 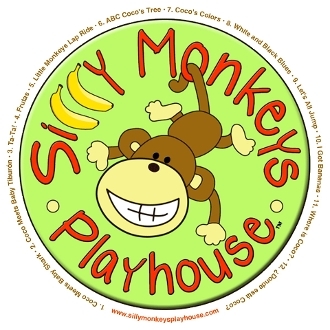 This 12 song CD features songs from Monkey Spanish, Monkey DO and Monkey Learns. Join us as we sing about colors, ABC's, Fruits, Monkeys and of course Coco. After you check out, an email will be sent to you with the downloadble cd (SMPMP3C). Please note that there is a limit to a 1 download CD per transaction.